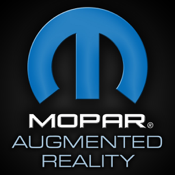 Experience the world of MOPAR® through the eyes of your mobile device. Customize a 2014 RAM 1500 truck with authentic MOPAR® parts in a cutting-edge, augmented reality environment. Drag-and-drop bed liners, rims, and accessories from The Configurator and watch them appear on your truck in real-time. View and rotate product close ups in 3D, all with stunning detail and clarity. Get the latest information on any part with just the tap of a button. See your customized truck in any of the nine true-to-life colors offered by RAM. It's RAM - the way you want it, with RAM By MOPAR!